Whether you are recently wed or celebrating your golden wedding anniversary, there are always areas that can be strengthened and renewed in your relationship. Society has the mind-set that if it’s not working then you need to throw it out. However, that is not what God intended. So, where do you go for help?Searching for a book on marriage will provide thousands of options. How do you decide? 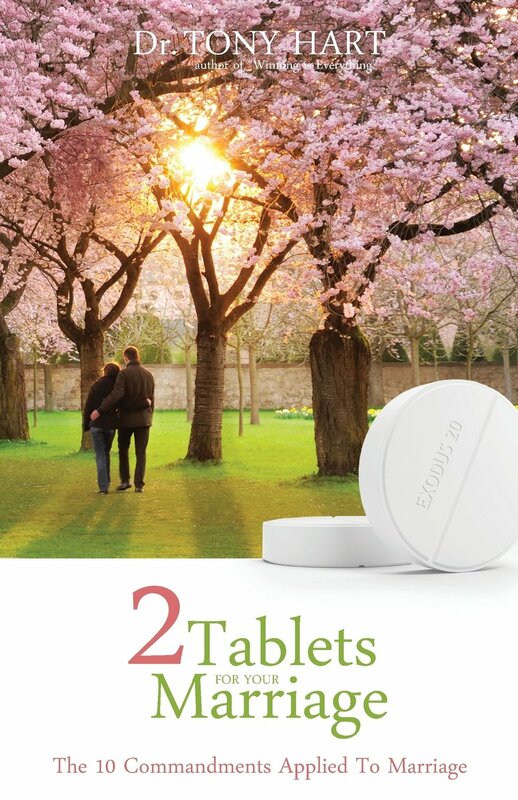 I would like to offer a suggestion, 2 Tablets for Your Marriage by Dr. Tony Hart. It is a short book, lees than 100 pages, but packed with a punch. Dr. Hart applies each of the 10 Commandments from Deuteronomy to marriage. Before reading this book, I honestly never thought of connecting the two. However, as I went through the book my eyes were opened. Each short chapter breaks down a commandment and shows how to apply it to marriage. However, Dr. Hart doesn’t stop there. At the end of each chapter, there are application questions. These are meant to be worked on together. Marriage can be viewed like a triangle with God at the top and the husband and wife at the bottom vertices. As each individual grows closer to God, they will grow closer to each other. I would recommend this book to any married couple. The enemy wants nothing more than to destroy what God brought together. Arm your relationship with the strength and lasting power only God can provide through the truths laid out in this book.